Jean Claude Van Damme is widely known for his brilliant kicking ability and martial arts background. As a young kid, Van Damme would train in the martial arts Shotokan karate and Kickboxing, during this time he also studied Ballet, which would be used more for his flexibility and strength in his legs. He has a great kickboxing record on 19 fight, 18 wins, one loss, which he won at a later date in the rematch. 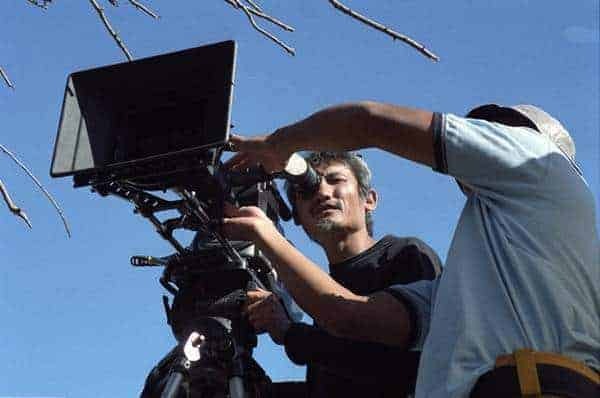 But when it comes to his movies, he has a great influence within Asian Cinema, using many directors and choreographers in his movies. In his early movie career he starred in movies such as Bloodsport and Kickboxer, showing the arts of Ninjutsu and Muay Thai. As his career went on, in 1994 he teamed up with veteran director John Woo for the movie Hard Target. Here John Woo would show his violent side in this all out guns and martial art movie about a gang who kill people over money. If you like a good John Woo shootout, then this is right up your street with plenty of gun fire. In 1996, Van Damme teamed up with director Ringo Lam for the action movie Maximum Risk. Ringo has directed movies in the past such as City on Fire (1987), Prison on Fire (1987), Full Contact (1993) and many more. The movie had lots of action sequences with the Ringo flavor, plenty of gun fights, martial arts and car chases. In 1997, he went on to make Double Team with director Tsui Hark, the movie does have plenty of action with some good fight scenes which also stars Hung Yan Yan as one of the fighters who takes on Van Damme. Tsui Hark and Van Damme teamed up a year later for the movie Knock Off set in Hong Kong. The movie also had Sammo Hung on board to do the action choreography, the movie is a fun film which certainly feels like a Hong Kong movie. The choreography isn’t what you normally get from a Sammo film, but it works in a Van Damme movie. 2001 brought Van Damme and Ringo Lam back together in the science fiction action film Replicant. 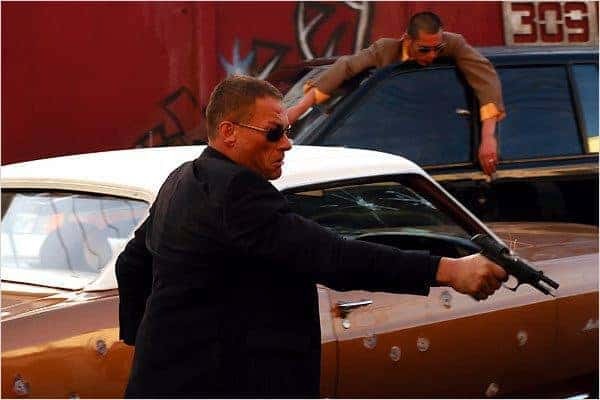 Here, Van Damme plays a brutal killer who doesn’t hesitate to kill. They clone him and bring a newly trained version to go after him and ring him to justice. This is a great movie, one of Van Dammes best parts as a villain in the movie. In 2003, Van Damme and Ringo teamed up for the third time and possibly there best movie together titled In Hell. In Hell is a violent movie set in a prison where you have to fight to survive. In terms of his acting and also the great story line and characters, this is a great Van Damme movie. Wake Of Death in 2004 did not have a Asian Director but a french director called Philippe Martinez but it certainly had a Hong Kong feel as well as French. The cast also included Legend Simon Yam as the movies villain and he does a great job also. Van Damme also made the movie Street Fighter, which was a computer game before being made into a movie. The game was made in Japan and designed by Takashi Nishiyama and Hiroshi Matsumoto and made its debut in the arcades in 1987. Van Damme has also starred with super villain Bolo Yeung in Bloodsport and Double Impact and both are trying to make another movie together in the near future. They both remain very close friends to this day and Bolo see’s Van Damme as the best since Bruce Lee on screen in the documentary Behind Closed Doors, a series which follows Van Dammes life for a period of time. 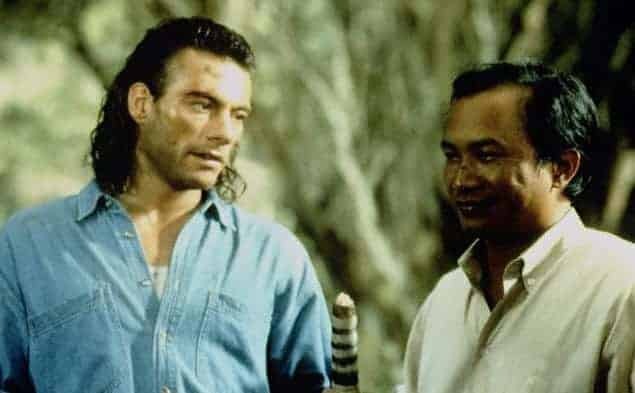 Van Damme has also had a home in Hong Kong for a long time and visits there whenever he can, there as been talk of Van Damme teaming up with Tony Jaa in the future, lets hope that happens.